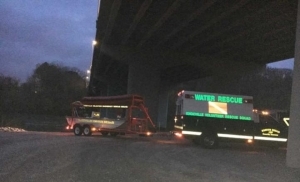 A water rescue underway in East Knox County. Rural Metro and the Knoxville Volunteer Rescue Squad were called in just after 6:30 Tuesday morning. A caller to 911 said they heard what sounded like a woman yelling for help from the Holston River near Graves Road. Officials launched boats from the Asheville Highway Bridge boat ramp. No word if anyone has been found.